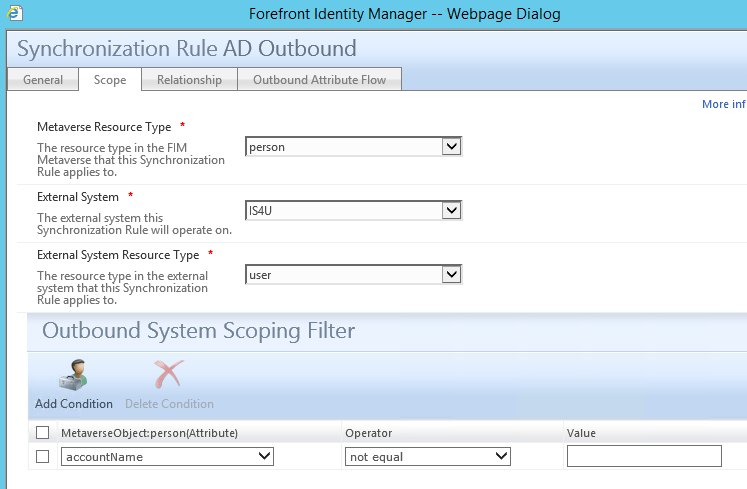 FIM 2010 R2 was the first version that brings outbound system scoping filters into the synchronization rule. 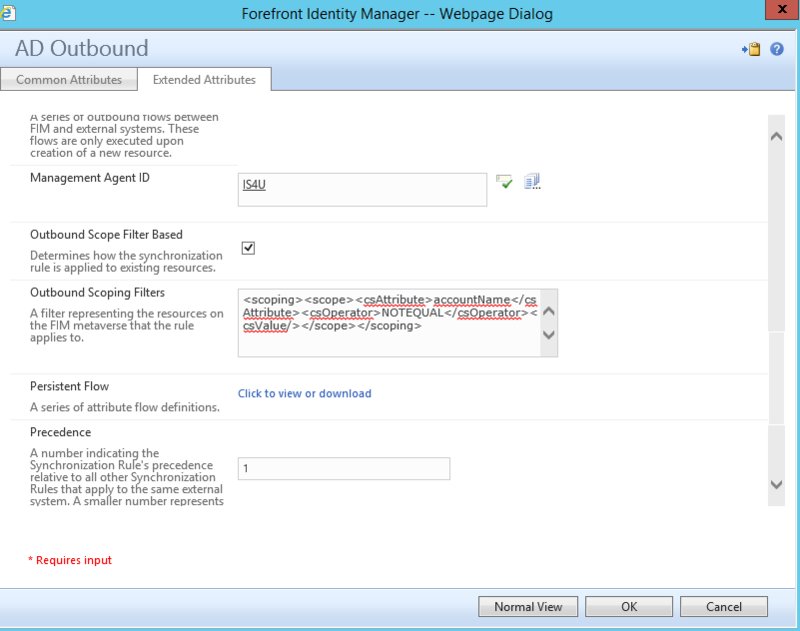 I decided to use this feature during a migration from FIM 2010 to eliminate some worfklows, sets and policy rules. This would reduce complexity and make the synchronization configuration more comprehensible. 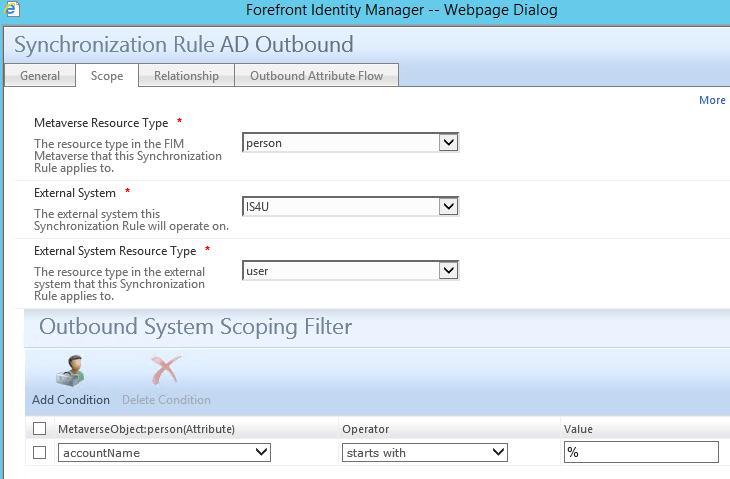 Instead of searching for the workflow that adds the sync rule, the MPR that triggers the workflow and then going to the set definition of the target population of the MPR, you can just examine the outbound scoping filter of the sync rule itself. But the sync rule status was “not applied”. After some googling, I found the origin of my problem in a blog post. The syntax of the outbound system scoping filter is different from the syntax used in set conditions.